Toronto Acne Clinic is an experienced, highly respected acne treatment centre. They help those in the Greater Toronto area get rid of their acne not just in the short-term but also over the long-term. Toronto Acne Clinic has dedicated Staff in all 9 of their Acne Clinics around Greater Toronto helping people to have clear, vibrant skin. That’s because the Cosmetic Dermatology Specialists understands just how difficult life with acne can be. Not only can it create embarrassment among teens and adults alike, but it can also be painful. This combination can have a dramatic impact on the lives of those dealing with it. Those who have chosen Toronto Acne Clinic as their acne doctor have experienced fantastic results. In many cases, patients report having dramatically improved levels of confidence. Professionals in particular are relieved that the condition no longer makes them feel self-conscious, a difference that by itself can make a tremendous difference in their lives. One of the things that Toronto Acne Clinic’s patients appreciate most is having Toronto’s Acne Team on their side is they maintain a laser focus on solutions rather than the problem. Many of their patients come to them having focused for a long time on their condition, falling into despair. A cycle of negative thinking has often developed, with some even wondering whether they have any hope of living without acne again. By turning our attention to the acne, our patients get the treatments and behaviours that they can use to turn their conditions around, Toronto Acne Clinic are always able to improve their patients’ lives even before they leave one of our 9 offices after their initial visit. Our Cosmetic Dermatology Specialist enjoys helping people struggling with acne to beat their conditions once and for all. 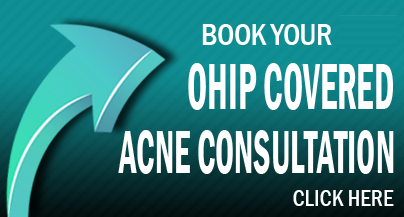 If you live in the Toronto area and are ready to stop using methods of treatment that don’t work on your acne and instead get help from an experienced acne doctor, call today to schedule your initial consultation.